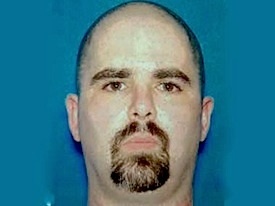 Wade Michael Page, the face of hate. When the police mug shot of Wade Page circulated on the Internet over the weekend, I was struck, again, by the unmistakable face of domestic white terrorism. Page, who led a skinhead rock band and was a drunk who washed out of the military and a truck driving job, killed six people in a Sikh temple in Wisconsin. That face is young and framed in a buzz cut. Its eyes are hardened and jealous. The moustache and goatee, carefully trimmed, ring a hard mouth familiar with the words of hate. The face of modern white American terrorism is as unmistakable as the slick-backed shiny hair of the Klansman, the thumb-length black moustache, or the long al-Qaeda beard. I saw that face in the Michigan Militia, in skinhead murders in Allentown, Pa., in the Oklahoma City bombers, and in the Wisconsin Sikh massacre. I see that face, too, in the grinding lives of too many young white American men too willing to blame “the other.” It’s the face of American menace.